What Makes a Top Shop? 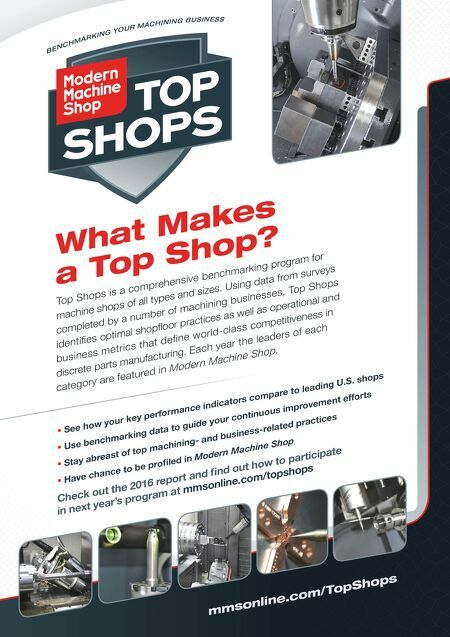 mmsonline.com/TopShops B E N C H M A R K I N G Y O U R M A C H I N I N G B U S I N E S S See how your key performance indicators compare to leading U.S. shops Use benchmarking data to guide your continuous improvement efforts Stay abreast of top machining- and business-related practices Have chance to be pr ofiled in Modern Machine Shop Check out the 2016 report and find out how to participate in next year's program at mmsonline.com/topshops Top Shops is a comprehensive benchmarking p ro g r a m f o r machine shops of all types and sizes. 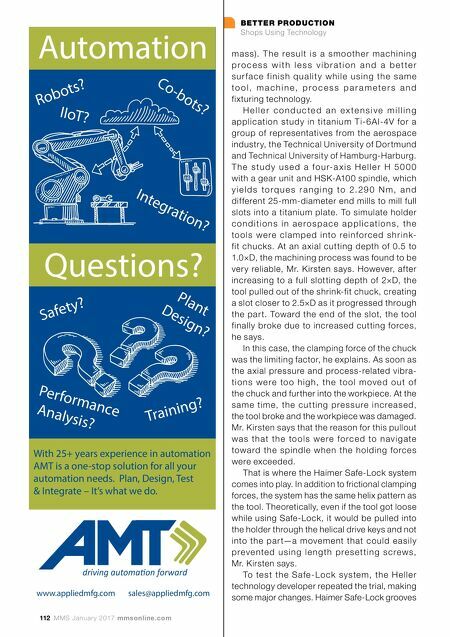 Using data from surveys completed by a number of machining businesses, Top Shops identifies optimal shopfloor practices as well as operational and business metrics that define world-class c o m p e t i t i v e n e s s i n discrete parts manufacturing. Each year the leaders of each category are featured in Modern Machine Shop.